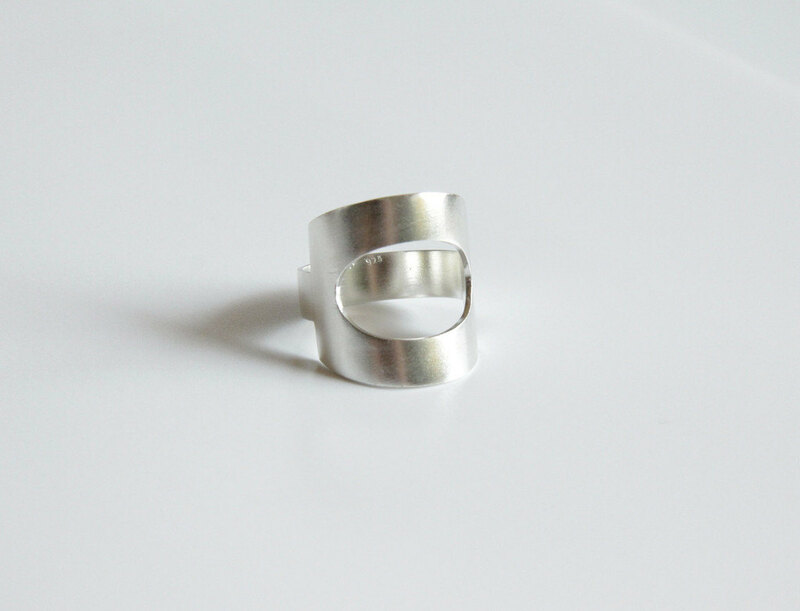 - The top of the ring is hand cut from 1mm sterling silver sheet. Hand formed, it measures 2.3cm (0.9 inch) wide. - The oval cutout measures 1.7cm (0.67 inch) wide by 1.1cm (0.43 inch) long. 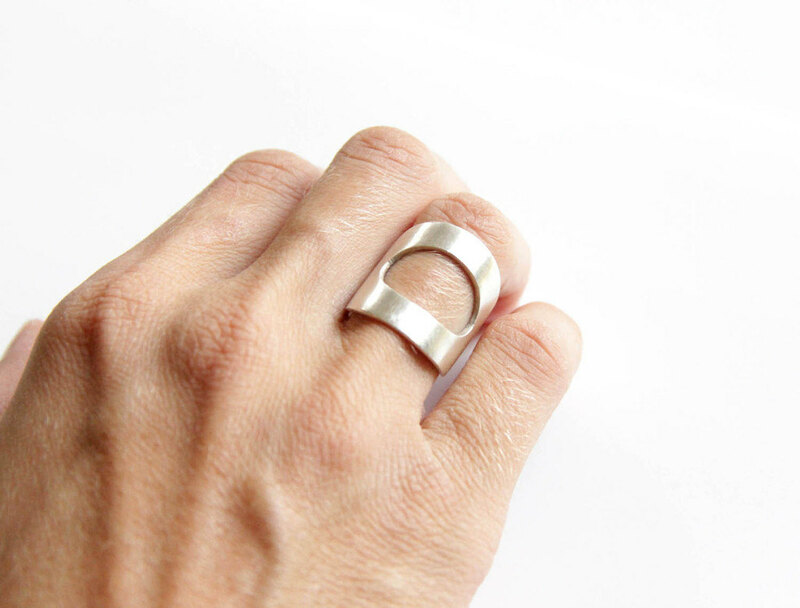 - The ring's band is hand cut from sterling silver flat wire, 6mm wide and 1mm thick.